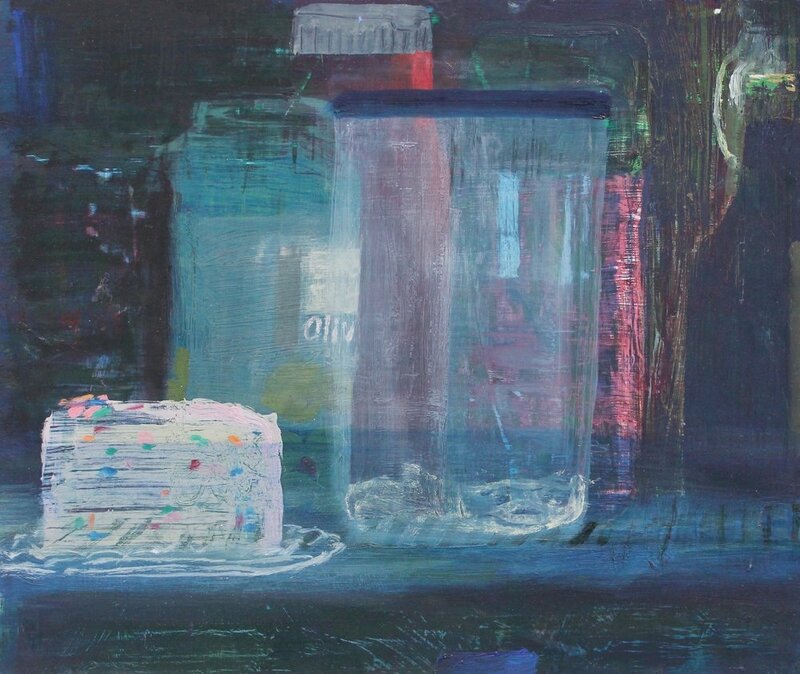 The Painting Center is pleased to present Aubrey Levinthal: Refrigerator Paintings. This new body of work focuses on the specific subjects of food, the fridge and intimate spaces around the kitchen. Levinthal realized this narrow subject ever-present in her own life provided an interesting place to investigate questions always present in the work. Personal spaces, narrative still life, obscured form and the absence and abundance of light are all richly embedded in this setting. Aubrey Levinthal is the recent recipient of a 2016 Elizabeth Greenshields Foundation grant which in part made this exhibition possible. She has participated in numerous exhibitions including recent group shows at NOVELLA Gallery NY, Queens College Art Center NY, Trestle Projects, Brooklyn and Nancy Margolis, NY where she has an upcoming solo exhibition in September 2017. 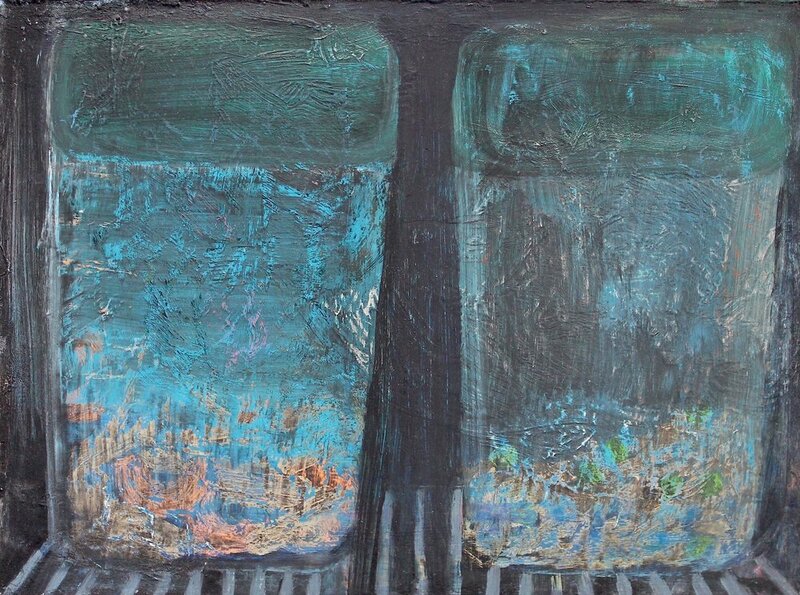 In Philadelphia where Levinthal lives and works, recent group shows include the Pennsylvania Academy of the Fine Arts Museum, Woodmere Art Museum, New Hope Arts Center and the University of the Arts. Her recent solo show at Gross McCleaf Gallery was reviewed in the Philadelphia Inquirer January 2016 and her work was featured in Harper’s Magazine July edition. She is a professor at Rowan University in New Jersey and received an MFA in 2011 from the Pennsylvania Academy of the Fine Arts. She is planning for an upcoming residency at Ballinglen Arts Foundation in County Mayo, Ireland this summer.